We all wish for the chance to go back in time and change the things, for The Flash, that coveted chance is within reach. He traverses time to right a violent, decades-past crime against his mother, but the ripples of his good intentions prove disastrous, as a fractured, alternate reality now exists in place of the familiar one. 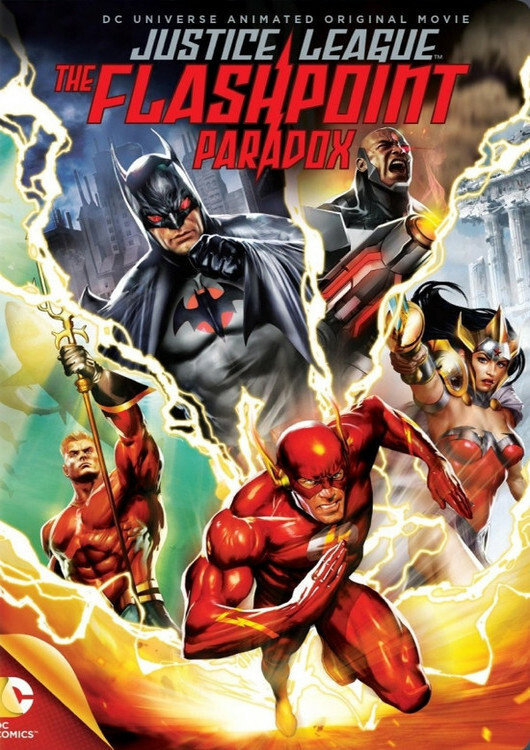 Stumbling through this twisted reality where even Superman is nowhere to be found, The Flash seeks the trusted wisdom of Batman, only to find a grittier, more violent Dark Knight in his place. Together with the help of Cyborg, they race to restore the continuity of Flash’s original timeline while this new world is ravaged by a fierce war between Wonder Woman’s Amazons and the Atlanteans, led by a battle hardened Aquaman. With breath taking action and an all-star voice cast featuring Kevin Conroy, C. Thomas Howell and Dana Delany, it’s a bold, emotional vision that will forever change the landscape of the DC Universe! Black Heroes who make an appearance are: Aqualad, Cyborg and Black Manta. Buy Justice League Flashpoint HERE or HERE! This was a great movie, but not for kids under 13. I think it was done well animation, action and characters were great. The story was up surprising and I didn’t know what the outcome was before it happened. DC doesn’t rule the box office but their animation has been number one for years. Marvel animation step up.